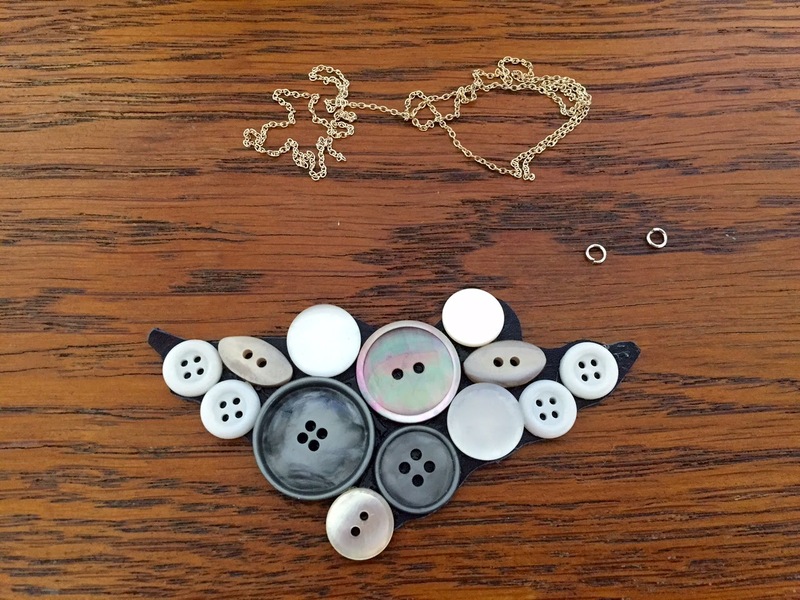 Our Creative Chaos & Coffee: BUTTONS + CREATIVITY = NECKLACE! 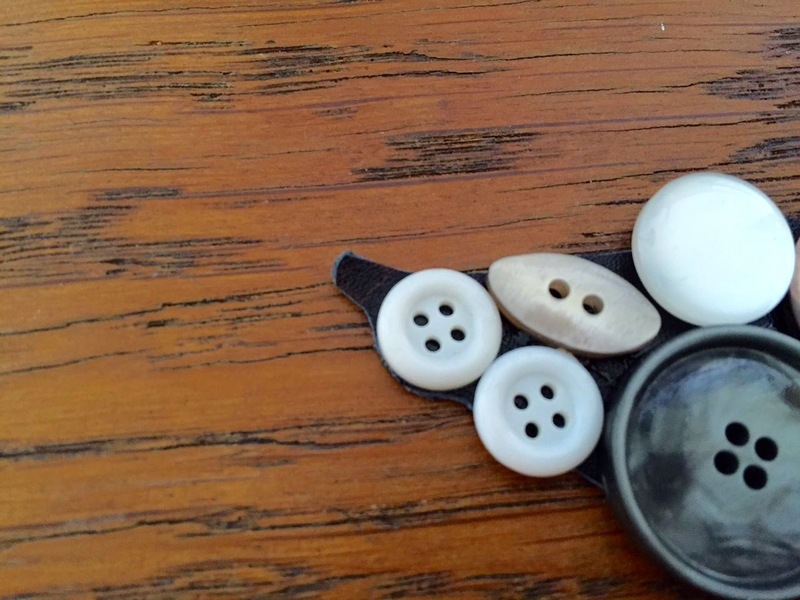 BUTTONS + CREATIVITY = NECKLACE! I don't know what it is but summer always gets me in the mood for biiiig statement necklaces. This button pendant necklace is a pretty quick and simple DIY with a lot of impact. You can buy an assortment of buttons that work well together or, just like I did, you can raid your Grandma's button box. I dumped them onto my desk and started by picking out the ones I liked best. I played around with them, combining them in different ways until I liked the shape. At this point I'd recomment taking a photo of it. You will have to rearrange it like that at least once more and this step is way easier when you have a photo of how it is supposed to look like. 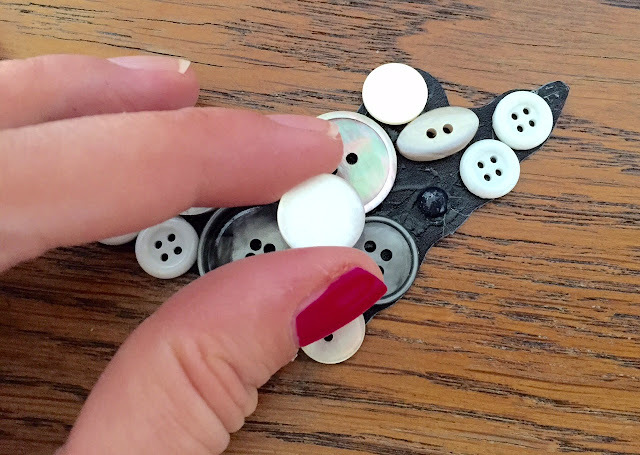 The next step is to take apart your formation of buttons and transfer them onto your base. I used some scrap of leather I had, but felt would work, too! Anything that does not not fray works. 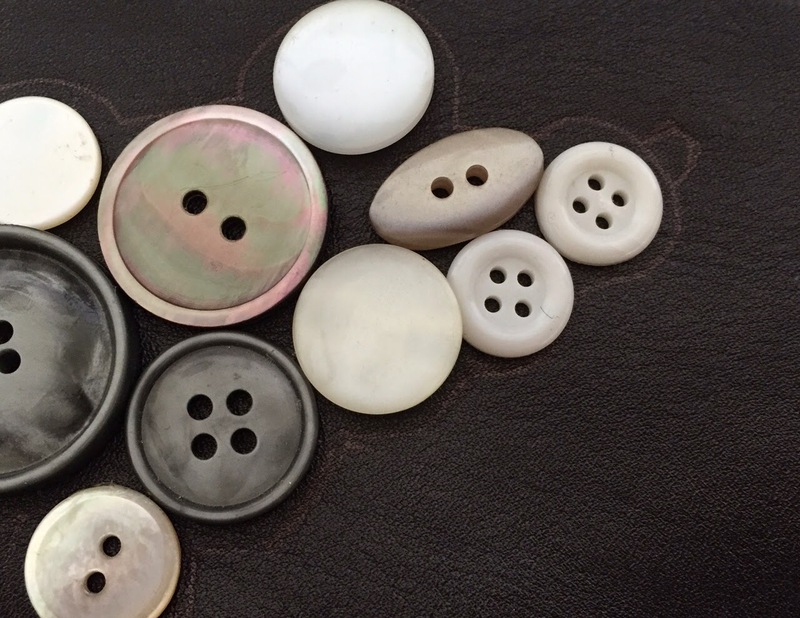 I then traced the shape of the button formation, removed the buttons once again and cut the shape, cutting off a little more, because I did not want the black rim around the buttons to be visible. You just need enough of the base to be able to glue the buttons onto it. See the small extra bit I added to the base? That is where the connectors and the chain go. I used a pin to make a hole and put the connectors in. And that was it! I like the look of the toned down buttons in combination with the mother-of-pearl buttons but I already know I want to make another pendant like this with more color, too! Which buttons would you use?